This article is the second in our blog series Close Reading Isn’t Just for Novels: Teaching Students to Read Nonfiction. Click here to read the first post. Thanks to our blog series sponsor, Renaissance Learning. Finding text evidence seems easy enough. Technically, any sentence is text evidence. 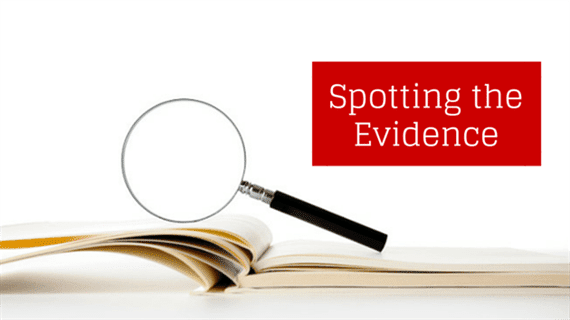 The trick is to get students to find the right evidence and use it effectively. 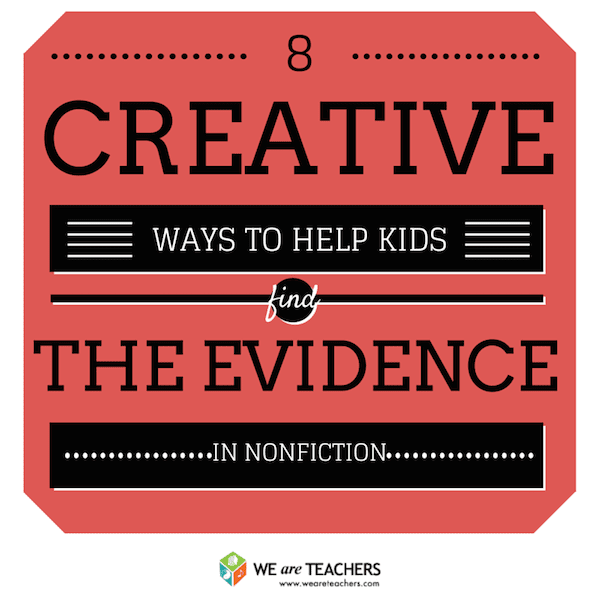 These eight strategies strengthen students’ ability to find and use evidence from nonfiction text. Before students look for text evidence, make sure they’ve read once for comprehension. “With nonfiction,” says Laura Robb, teacher and education author, “you need to read the text first to get the gist and build some background knowledge. Then, go back and reread so that you can start thinking about it.” The more students work with the text, the better they’ll be at digging into the meaning of each sentence. Reading nonfiction is about more than collecting facts. Students need a purpose that makes sense to them and applies to their lives. Former New York City teacher Claire Needell Hollander found that her middle schoolers connected with a project that asked them to research food producers. After reading various informational texts to research questions like “Where does Chipotle Mexican Grill source their tomatoes?” students synthesized their research into a consumers’ guide. Engaging students in a project that connects to their lives makes the experience of finding text evidence relevant. Students are pulling information they want to know and share, rather than facts to plug in to a paragraph. The consumer guide project added to their knowledge in a meaningful way, says Hollander. And it related to the kids’ lives—their role as consumers at Chipotle. When it comes to text evidence, says Robb, the Think-Aloud is a powerful strategy. Take a big question—like “How does the author prove his point that too much standardized testing is hurting our schools?”—and model finding text evidence to support that question. For example, “Well, here the author cites a study showing that kids who spend a lot of time testing are less creative. That helps prove his argument.” Finding text evidence is a new skill for students, so hearing you talk it through demystifies the process. When students paraphrase, they’re doing more than pulling quotes: They’re putting what the author said into their own words. “Paraphrasing is the first step to comprehension,” says Robb. In other words, if kids can’t state the evidence in their own words, they can’t understand it. Have students pull a quote and write it down on a separate sheet of paper, then write a paraphrased statement next to it. You’ll see exactly how they’re processing. Sarah Tantillo, education consultant and author of The Literacy Cookbook, suggests making sure that students know the difference between argument and evidence. An argument is the author’s claim or opinion; evidence is the statements, facts, statistics and other information that support the claim. To practice, Tantillo suggests providing students with facts that they can sort according to the appropriate arguments. Have students color-code the different types of text evidence they find. For example, color quotations in red, numbers and statistics in green, and facts in orange. Once students are better able to find text evidence, have them code evidence depending on how strong it is (green = strong, blue = weak). Or have them color-code evidence for each side of an argument (green for pro, orange for con). When fifth-grade teacher Janelle Turnier has students who glom on to one piece of evidence and can’t seem to find anything else in the text (either because it’s the evidence they found first or because it’s the fact that makes the most sense to them), she has them choose one section to focus on so they’re writing about a narrower topic and aren’t bogged down in the length of the text. Then, as kids get stronger in identifying evidence, she provides longer passages for them to work with. There’s a new version of Accelerated Reader called Accelerated Reader 360 that specifically helps kids learn the skills they need to read nonfiction. Learn more about Accelerated Reader 360 by visiting Renaissance.com.